Update: As of July 1, 2017, Peggy Procter will become Echo Horizon’s new head of school. And, Lisa Marfisi is no longer with Echo Horizon. Abeni Bias is now the school’s enrollment manager. Circuit blocks, Playdoh squishy circuits, Legos, woodworking, electronics, fabric, coding, programming, 3D printing, motors, robotics and batteries. What do all these seemingly unrelated items have in common? They’re all tools for the brand new Markerspace at Echo Horizon School. 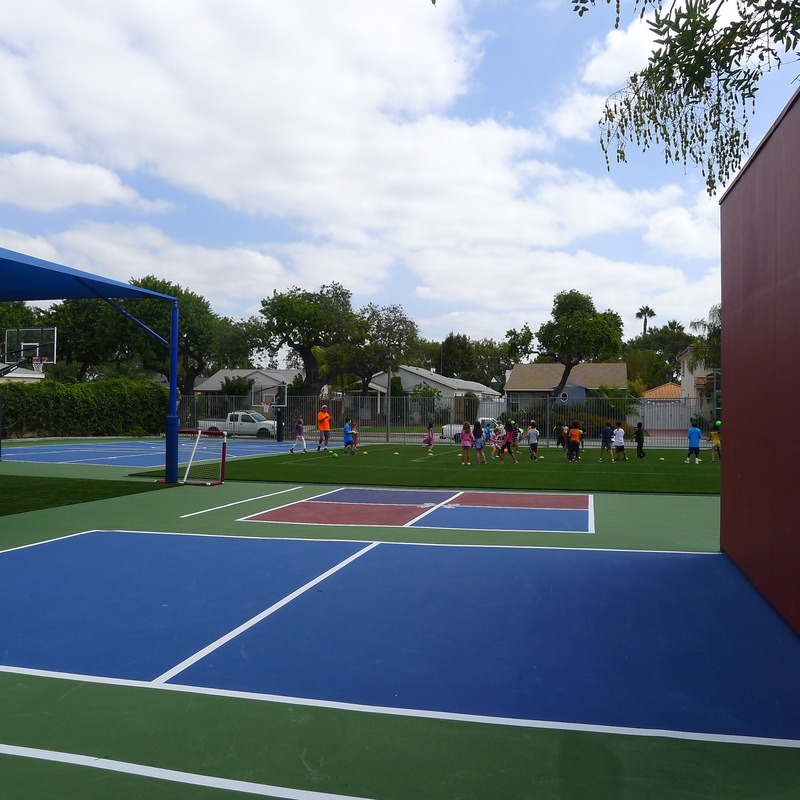 Back in May, I stopped by Echo Horizon, located on a quiet street in Culver City, to meet with Martha Schuur, the new-ish head of school (she’s starting her 3rd year there). The Makerspace is one of the most important programs she’s launched since arriving at school, so I returned a second time to meet with Lisa Marfisi, the school’s admissions director, to watch the new Makerspace open its doors to students. Excitement was palpable as 5th graders entered the Makerspace room for the first time. They’d been eagerly anticipating it for months and finally it was theirs to explore. But first, they’d get an overview of what they’d be working on and some rules about safety from Jean Kaneko, the school’s design thinking consultant. Her role on the project has been in collaboration with Elaine Wrenn, director of curriculum and technology at Echo Horizon. The 5th graders listened intently as Jean explained how the new space works. First, kids will become familiar with the concepts of inquiry and innovation. Then, they will create a “passion project” using the tools they select from within the space. Listening to Jean explain the Makerspace, it was clear to me that this is a very unique place, where kids will be ushered into a world of creative collaboration that will require a mix of practical and imaginative thinking and detailed concentration. 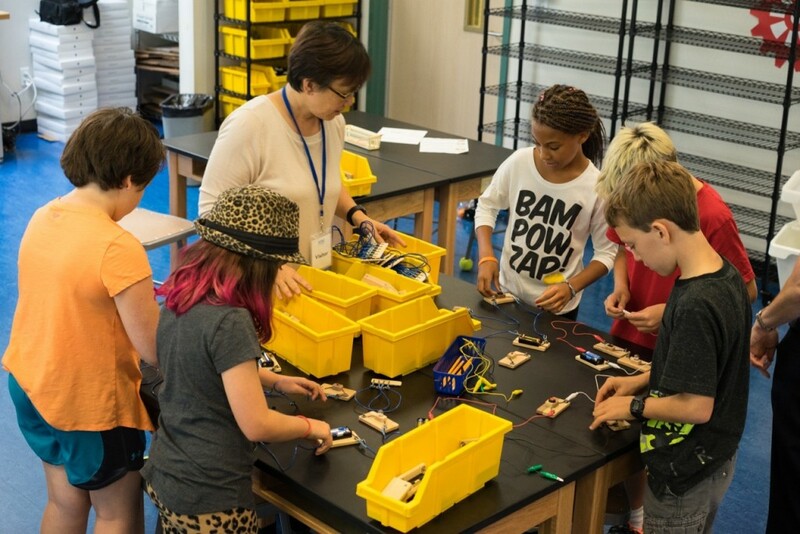 The Makerspace isn’t your basic classroom. It’s more like a mix between a fabulous design space, your grandma’s sewing room and your dad’s tool shed. 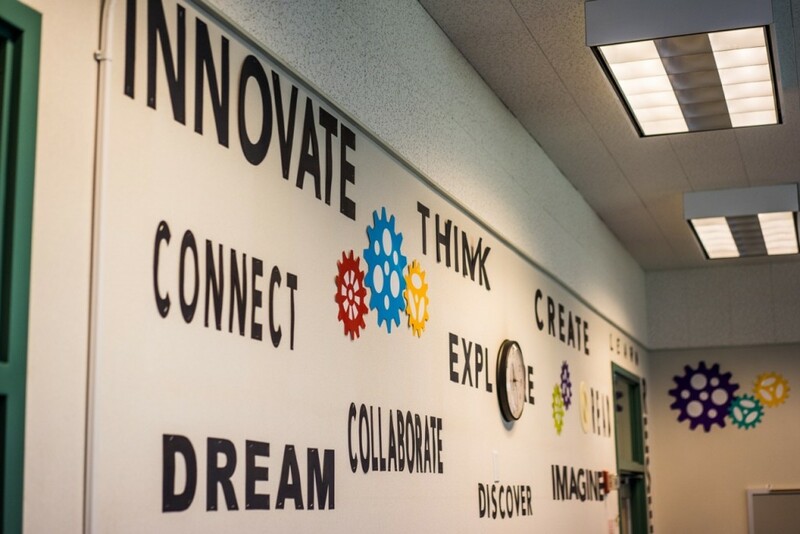 In it, students from grades 3-6 will learn skills and use tools that real companies like Nike or Apple use to create innovative design products. When it comes to tools, there are tons of options. These student-designers will utilize old-school crafts and cutting edge technology to make just about anything they can dream up. Over the next nine months, the students will ponder project ideas, try various designs, keep some, toss some and re-work others. They might swap a tool for a more useful one. They’ll be encouraged to work by trial and error, experimentation and collaboration. They’ll share resources and ideas. It is the epitome of hands-on, project-based learning. Makerspaces are places influenced from fields like technology, engineering and design and where people use similar tools to tinker, imagine and create. The FabLab at Stanford University and the ThinkBox at Case Western Reserve University are examples of Makerspaces in higher education. 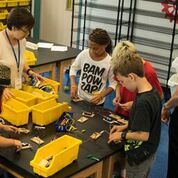 Echo Horizon’s Makerspace is modeled on the same principles: provide an array of high and low tech tools, from circuit boards to thread, where kids will find the ultimate forum to learn by doing. At Echo Horizon, the Makerspace might even involve the school garden as a tool one week and duct tape, arduino boards (microcontrollers) or batteries the next week. 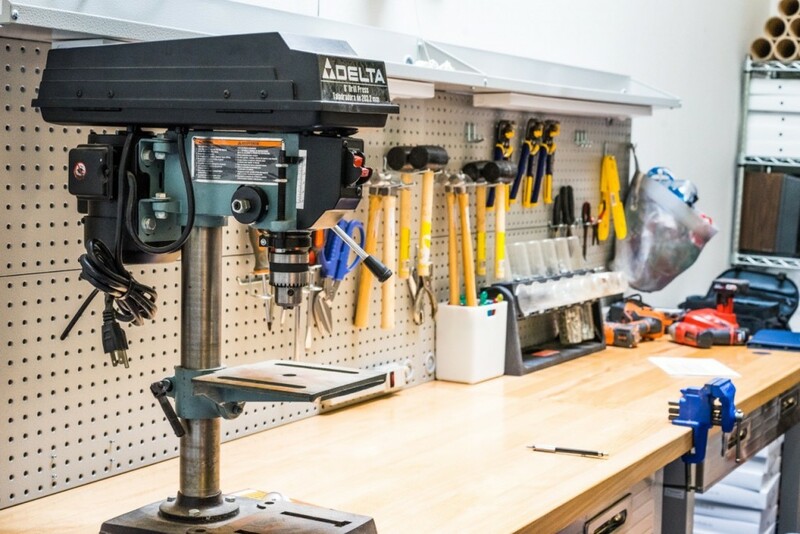 From planning and experimentation to the creation of a completed project, the ultimate Makerspace experience is multi-faceted. Echo Horizon students will consult, create and collaborate on a project with a teacher mentor, which will culminate in a Ted style talk presented to parents and peers. After the presentation of their Makerspace projects, they will be able to curate and hang their own shows in the school’s 3 Centers of Excellence: The Think it/Build it Center, The Center for Digital Media and Production and an Art Center. 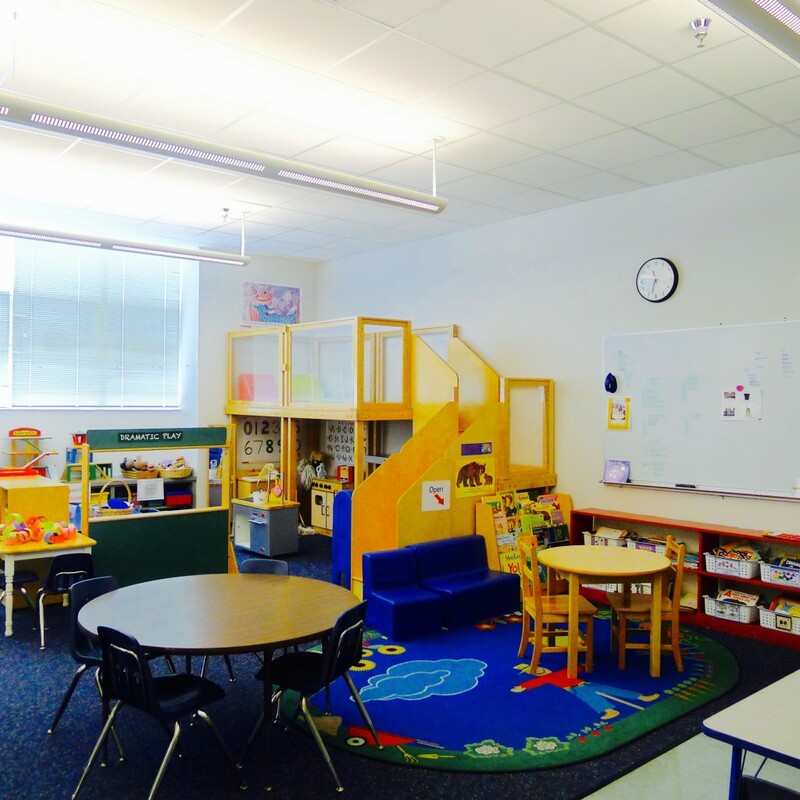 For grades Pre-K-2, kids will use the STEAM Center (above) to become familiar with a sequential progression of learning the basics of wondering, early researching, sharing, collaborating and first steps of presenting. The experiences students will have in these centers will be inquiry based, reflective, collaborative, process oriented and passion driven. 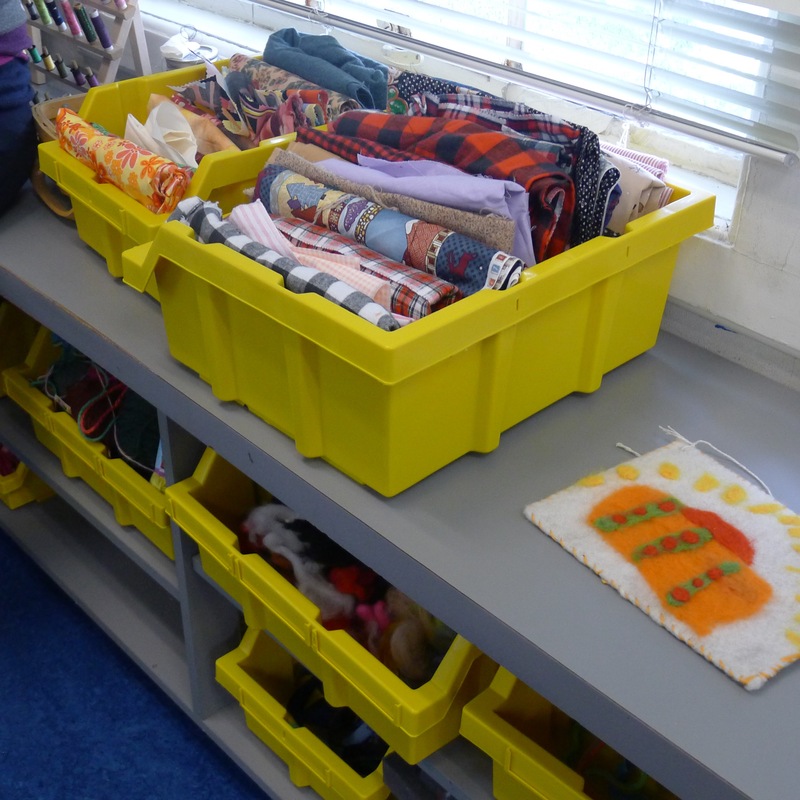 The Makerspace is just one of the many transformations happening at Echo Horizon. 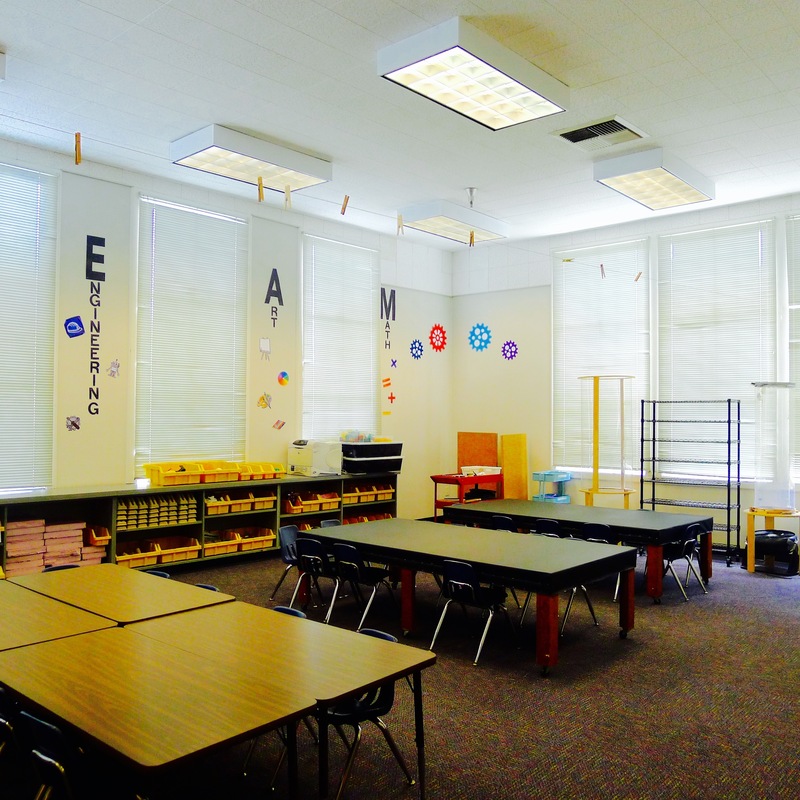 Martha has also green-lighted a reconfiguration of the classroom space to create one class per grade with up to 20 students in it. Each class will have two credentialed teachers in a co-teaching model. The average teacher to student ratio is 10:1. Technology is well-integrated the curriculum. For example, Pre-K-2nd graders utilize both iPads and laptops in their classrooms and the Technology Center. Students in 3rd and 4th grade have 1:1 access to laptops in the classroom and every 5th and 6th grader at Echo Horizon School is provided a laptop computer to use at school and at home. Martha is quite impressive, with an accomplished educational background and a knowledge of how to blend new ideas with tried and true practices to build upon the school’s more than three decades of excellence. Martha’s warm smile and outgoing personality made me feel like I’d known her for years, although we’d just met. Martha is contemplative as she talks about her commitment to ensuring that Echo Horizon educates its students to become leaders, thinkers and citizens of a global community. Her overarching vision for the school focuses on the idea of balance. This translates into an integrated curriculum, where what’s happening in science is tied closely to what kids are learning in other classes. To achieve balance in its curriculum, the school draws from a number of educational philosophies to influence the curriculum, from progressive educator John Dewy’s child-centered ideas to the very traditional practice of teaching cursive writing. With 10 % deaf and hard of hearing students mainstreamed throughout the school, the community is an example of true inclusion. 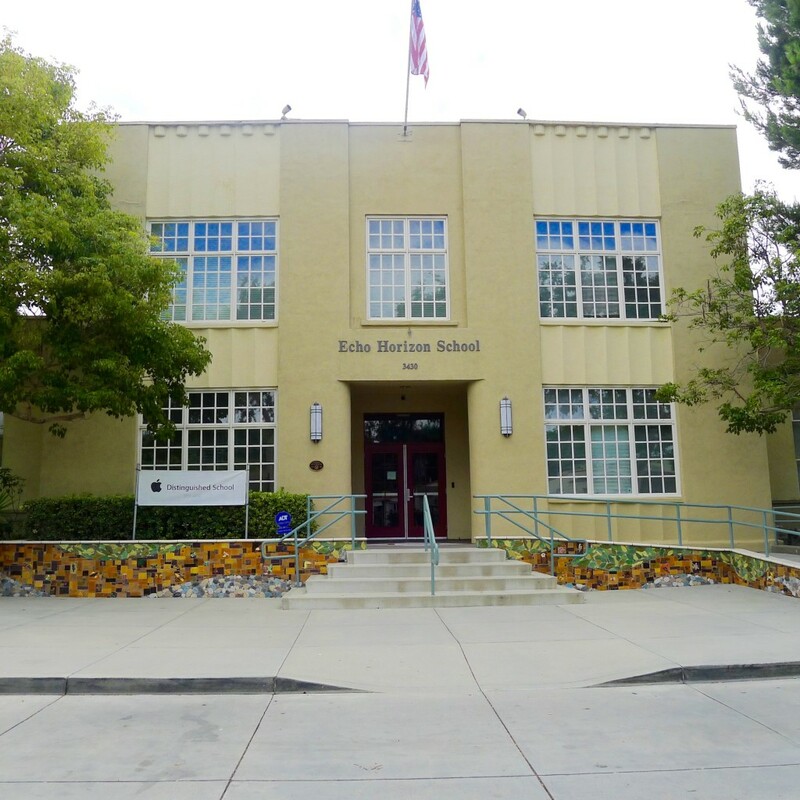 I walked around the school while talking with Lisa, one of L.A.’s most experienced private school admissions directors, who also happens to be incredibly sincere and accessible. I noted the school’s harmonious, tranquil yet upbeat quality. The teachers are a mix of young and experienced, with diversity that can’t be missed. In the classrooms, there’s a sense of adventure and curiosity. Graduates, she explained, go on to the top secondary schools in Los Angeles including Harvard- Westlake, Marlborough, Windward, Campbell Hall, Viewpoint, Archer and Crossroads. 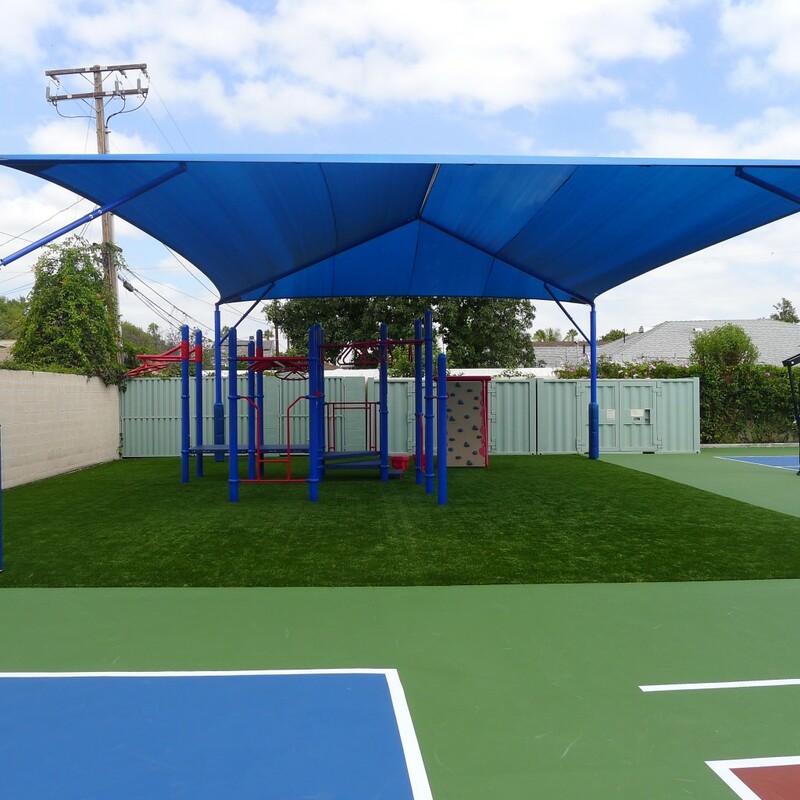 We ended my visit with a look around the newly shaded and spacious new outdoor facilities, complete with artificial turf. Echo Horizon’s Makerspace is a place where kids can embrace their inner nerd. Or maybe their artistic side…or how about their penchant for computer programming? Watching the kids totally engrossed in Makerspace and other school activities made me think a few of them might discover a life-long interest, or possibly even a career like Nike’s Phil Knight or Apple’s late founder Steve Jobs, based on their experience at Echo Horizon. The future is theirs to see! Most families apply for Pre-K or Kindergarten. 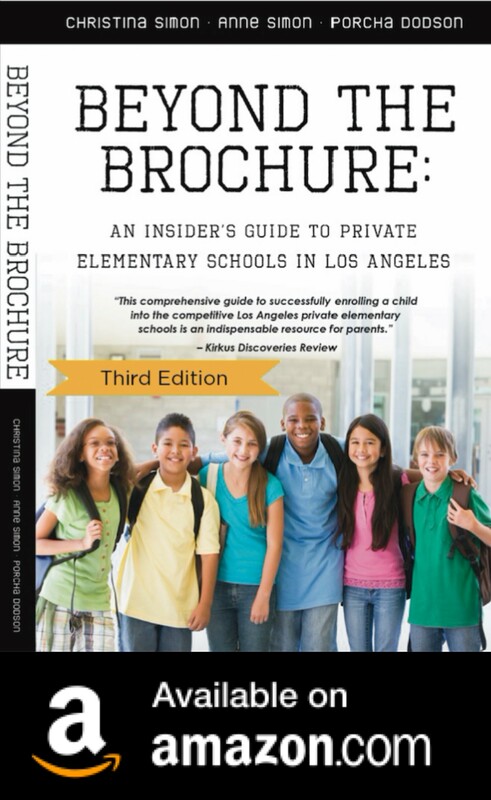 For more information, visit, www.echohorizon.org or contact Lisa for a tour at 310-838-2442.